It's almost time for a new year, which means a night of champagne toasts and fabulously fun dresses. You don't have to be attending a Great Gatsby inspired affair to get flirty in a fringed frock - the movement loving adornment will make you the bell of even modern themed balls. Another option is to get decked out in a feathered dress, or better yet get really wild and wear something with feathers and fringe! I'm also very into the fringe trend! I just picked up a great fringe skirt from Ann Taylor and I'm obsessed. 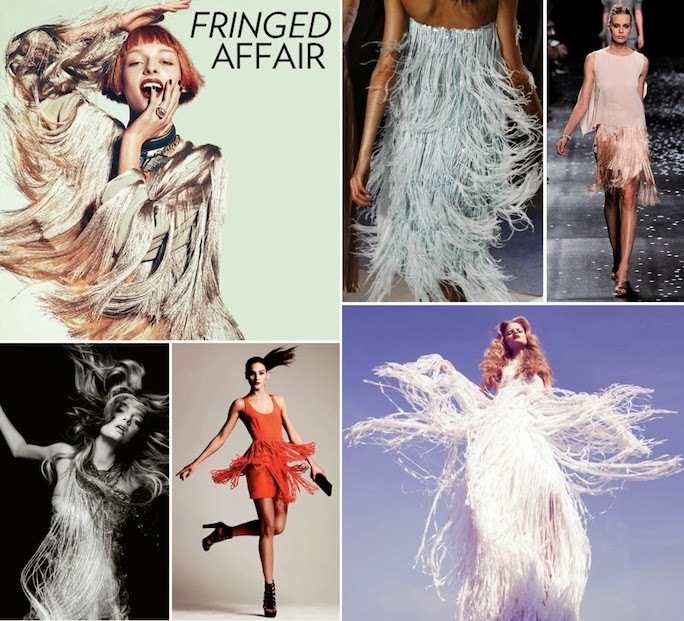 These fringe dresses look wonderful.